Overview – By virtue of a three-way tie for the second seed, things got very interesting in this district. A coin toss decided the three program’s fates, and it was a fate that least suited Coral Shores in the end. The Hurricanes landed the fourth seed, meaning they will need to win an extra game to have a chance at the district title. A win over Ransom Everglades next pits Coral Shores against Gulliver in the semifinals. While Key West was able to avoid an undesirable scenario that could have landed the Conchs against top-seeded Gulliver in a district semifinal that would have ended the run for either of the legitimate state contenders. Instead Key West has to face off with a Keys Gate Charter squad that blanked them 1-0 in their district meeting this year. The Knights serve as a potential spoiler to the match up most baseball fans expect to see with Gulliver and Key West playing for the district title. 1. 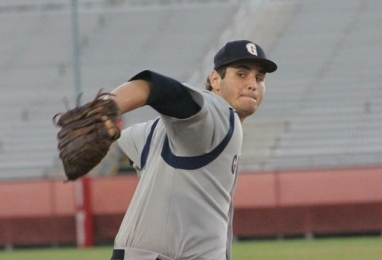 Gulliver Prep – The district top seed is not going to overlook whichever team it faces in the district semifinal. A win in that meeting will earn a regional berth and the right to play for the district championship, where the Raiders would await the winner of the Key West and Keys Gate Charter showdown. Gulliver has remained focused all season long, while playing perhaps the toughest schedule in the county this year. Now that preparation should start to pay off. As the district hosts the club has the home-field advantage that could come in huge against teams that typically bring a lot of fans with them. The Raiders will get the last swings and last chances in each game, which could come into play as they chase after the district title. Gulliver has lost the district championship in each of the past three seasons, and this year is its best chance to end that streak. A pair of wins in the district tournament gives the team more than just another trophy in the case; it will also land a home game in the regional quarterfinal round and a lot of momentum heading into the playoffs. Beating Key West on its home field paved the way to the top seed, and it was a game that Gio Soto said changed the entire season for them. Gulliver has been a deep and dangerous squad that no one looks forward to facing. The batting order can hit from one to nine, and has a tendency to wear down pitchers. Gio Soto, Oscar Marchena and Brian Nido have led the hitters with a collection of power and speed. Javy Valdes and Alex Erro also play a big role in driving runners in, and the team hit 11 home runs as a group. Health has been key to the pitching staff, as the group is only now rounding back to full force. Davis Brown has worked his way back to a main role, alongside Evan Kravetz and Michael Gonzalez. Aidan Khal, Palmer Phillips and Rob Touron have led a deep bullpen, while German Marcos is also slowly working his way to full strength. 2. 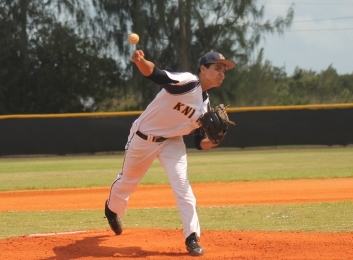 Keys Gate Charter – Knights ace William Sanchez will take the mound in an attempt to beat Key West for the second time this season. Should he and his team succeed, the club would earn its first berth in the district championship and also in the regional playoffs. This is no small task, but the team can take a lot of confidence in knowing it has done it already this season and the guys are more than capable of making the plays it will take to do it again. Health could be a major factor that adds to Keys Gate’s chances. Matthew Garcia and Andy Diaz are returning from injury just in time to help their team, while closer Alan Quezada seems to be fully recovered from an MCL injury and is starting to heat up at the right time. As a group the team has struggled to score runs in bunches, so it has relied on being able to get guys on base and manufacture some runs. Quezada and Garcia have been key pieces to the club’s offense this season, along with JV call-up Osmany Hayas. Key to the club’s offensive success has been standout freshman Omar Baldo, the promising young catcher who has also played shortstop, second and third base this season. The young Baldo has led the club in getting on base, while also showing signs of the huge offensive potential he has in the years to come. While the Knights know they are underdogs in this match up even despite being the higher seed, they have all the reason in the world to like their chances. 3. Key West – If you are a fan of sequels, this is the storyline for you. The Conchs have a true challenge ahead, and they would have it no other way. The club wants another shot at district rival Gulliver Prep, following a home loss during the season. Meanwhile it also wants to win another district championship, which would also happen should it get to beat Gulliver. But first, Key West gets a chance at some payback against a Keys Gate Charter team that shut it out this season. Key West will have a real challenge not to look past the semifinal in hopes of meeting its district rival again. The Conchs have overcome adversity during the year, including the recent loss of one of their top pitchers, Kyle Pierce, to injury. Thankfully, the squad is very deep on the mound. Led by ace Greg Veliz and senior Bandon Presley, the team has the frontline pitching that is capable of beating anyone on any given day. Andrew Freeman and Jay Feathers lead a deep bullpen, and Hunter Mattheessen has emerged as a welcome surprise to replace Pierce in the rotation. Veliz also leads the Conchs at the plate, where he showcases all the tools he is advertised to have. Hunter Sellers, Anthony Henriquez and Chris Varela have also been key pieces to a batting order that is deep and talented. Carlos O’Farrill has fit in nicely, and Freeman has shaken off all the rust from taking time off from the game. The Conchs have a dedicated and passionate fan base that is behind them. But it is also a group that demands victory and craves success, and this year the general desire is that this group can add to the program’s state record 11 state championships. 4. 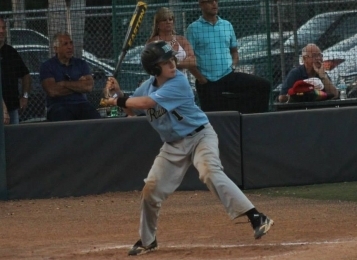 Coral Shores – The Hurricanes have some nice momentum heading into the district tournament, after winning the South Florida Baseball Conference championship last week. Coral Shores enacted some revenge on Ransom Everglades for its playoff loss last year by putting it on the Raiders this season. Now the club is hoping for a repeat performance that would add more momentum as it would then move into a spoiler role against the top-seeded Gulliver program. The Hurricanes finished the regular season with a record right around .500, which is a fair depiction of their season. At times the club has played well and competed, but it has also endured a few losing streaks along the way. The most encouragement comes from its strong finish that included the tournament title, which gives them tournament experience the players can draw upon this time around. The pitching staff has not had a lot of success this year, but has also shown nice depth in having several players who can throw strikes and eat up innings. Will Goodwin has led the way, while A.J. Juliano and Fernando Garcia have also been among the main starters. Daryl Chou and Jack Rentz have led the relief corps. Chou and Garcia have paced the offense, while Colin Dickerson has also hit well and leads the club in steals. Cody Richards and Ian Thomson lead the Hurricanes in driving in runners. 5. Ransom Everglades – The Raiders have won just one game in this district since joining before the start of last season. However, that lone victory came in this exact same match up a year ago. Ransom hopes to repeat that 4-2 win and advance up the playoff bracket as a Cinderella underdog. The second half of the season was not kind on the team, and a playoff run would be the best way to put all of that behind in the past. Second-year Manager Kenny Perez has slowly worked the program into his design, but the guys may still need more seasoning to get where they need to be. This is also the club’s greatest asset, as its opponents may have the tendency to take them lightly on the field. It is always toughest to beat a team the second time around, and this fact was proven to the Hurricanes a year ago. Senors David Lanster and Chris Rossi have led this club for a while now, and that has been the case again this season. The duo excel at getting on base and using their speed to move around the bases. Steven Vinson and Sam Bulduc have also come along as reliable hitters. Jack Archer and Ryan Moralejo lead a pitching staff that has struggled in district games. The Raiders may have to use a combination of both their top hurlers to keep in the games and give themselves a chance to survive and advance.